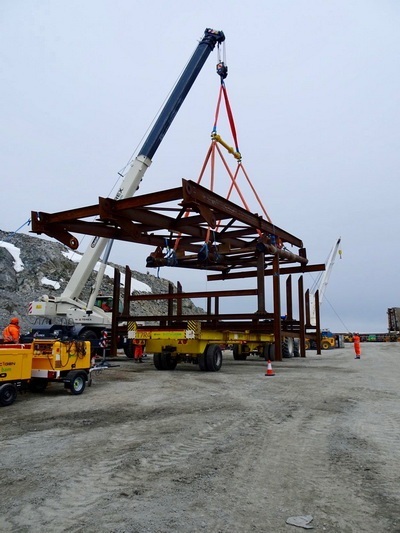 Rope and Sling Specialists (RSS) has provided lifting and rigging products to BAM Nuttall Limited (BAM), which will utilise the equipment during the landmark modernisation of the Rothera Research Station in the Antarctic. BAM is working in partnership with the British Antarctic Survey (BAS), part of the Natural Environment Research Council (NERC), to deliver civil engineering projects associated with the RRS Sir David Attenborough, the UK’s new polar research vessel, commissioned by NERC and operated by BAS for scientific research and logistics projects. 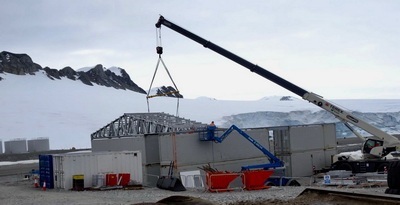 Over the next decade Rothera Research Station will undergo a comprehensive modernisation programme to ensure that its facilities continue to enable world-leading research. A new wharf is scheduled to be built over two Antarctic seasons, starting in November 2018, in order to accommodate the Sir David Attenborough, and improve boating operations. During the first season, the existing wharf will be removed, and temporary cargo unloading and boat launch facilities will be operated from South Cove. The rear section of the new wharf will be constructed in the first season, then the front section attached during the second year. RSS has supplied a variety of equipment, including polyester roundslings, webbing slings, chain slings, shackles, chain blocks, jacks, and safety harnesses. It has also provided a Modulift MOD 34 spreader beam with a safe working load (SWL) of 10t at 8.5m (28 ft.) in length. The MOD 34 offers up to 34t at 6m (19 ft.) and up to 10m (32 ft.) at a lower capacity. Martha McGowan, project manager at BAM, explained that the below-the-hook equipment would be used with two 300t capacity crawler cranes and an 80t capacity mobile crane. 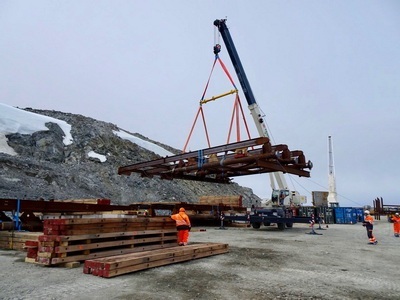 She added that loads will weigh up to 20t during dismantling of the existing wharf and up to 35t as the steelwork frames to create the new wharf are installed. Other benefits of improving the wharf include an upgrade of small boating facilities for marine research, including a larger crane for launching small boats, a personnel gangway, and a floating pontoon for the deployment of scientific instruments such as gliders. The Rothera Research Station is situated on Adelaide Island to the west of the Antarctic Peninsula. Caption1, 2: The rigging gear is being used with two 300t capacity crawler cranes and an 80t capacity mobile crane. Caption3: The Rothera Research Station is situated on Adelaide Island to the west of the Antarctic Peninsula.